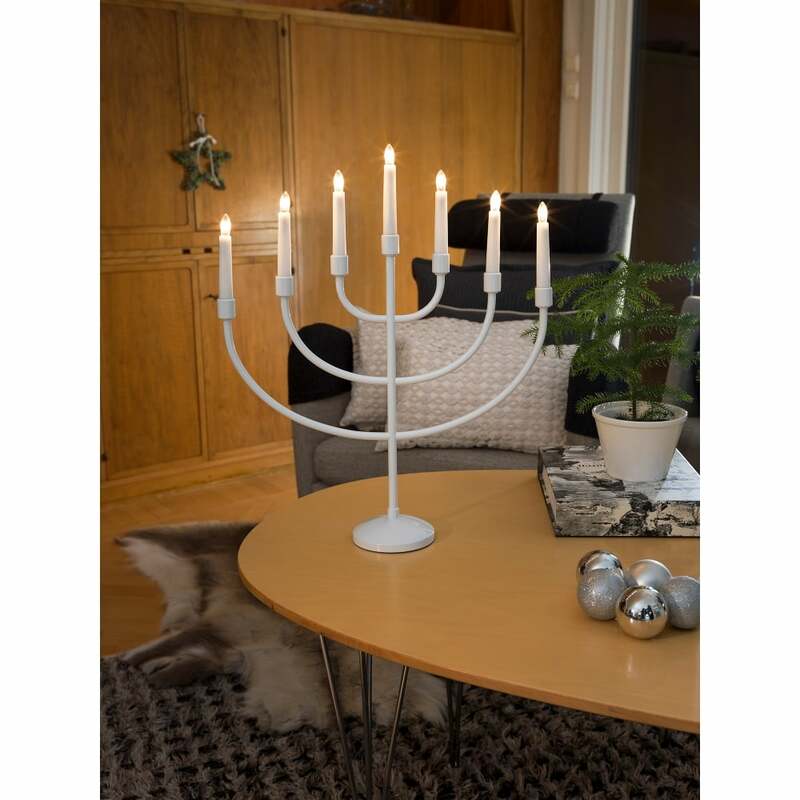 Konstsmide 7 light large candlestick light with sweeping upward arched arms all in white finish. This striking candlestick light can be used all year round for dinner parties or simply an ambient background light, it's simply too beautiful to be kept just for Christmas. Mains operated and suitable for indoor use only. This product code is 2490-215. Also available in red, copper or brass finishes.